The Nuclear Regulatory Commission Inspector General (IG) provides IG services to the Defense Nuclear Facilities Safety Board (DNFSB), an independent government agency. The DNFSB organizational culture and climate study* reviewed here was performed for the NRC IG by an outside consultant. The study’s methodology is familiar: Review relevant past reports, develop a survey instrument based on employee interviews and focus groups, administer the survey to all employees and interpret the results. The employee survey had 14 categories, higher scores mean greater respondent agreement with positive traits. Analyzing the survey responses in three different dimensions yielded one typical and two unusual results. In our opinion, they suggest uneven DNFSB management effectiveness across the organization. Across organizational groups, the General Manager and Admin/ Support groups scored above DNFSB averages on most categories; the Technical Director and Engineering groups scored below DNFSB averages on most categories. (p. 13) In our experience, this is no surprise; bosses and admin people are usually more satisfied (or less dissatisfied) than the folks who have to get the work done. The report identifies Sustainable Engagement (SE)** as a key category. Using regression analysis, the authors identified five drivers (other survey categories) of SE, two that had acceptable survey scores and three that are candidates for organizational improvement interventions: communication, leadership and performance management. (p.17) This is as close the report comes to suggesting what the DNFSB might actually do about their problems. This report recognizes that DNFSB has significant challenges but it contains zero surprises. It’s not even news. The same or similar ground was covered by a Dec. 2014 organizational study performed for the DNFSB which we reviewed on Feb. 6, 2015. Problems mentioned in the 2014 report include board dysfunctionality, communications, performance recognition, change management, frequent disruptive organizational changes, and the lack of management and leadership competence. The 2014 report included extensive discussion of possible organizational interventions and other corrective actions. The NRC IG already knew change management was a serious challenge facing the DNFSB; it was mentioned in an Oct. 2014 IG report. *** That report was likely the impetus for this 2015 study. The DNFSB has been in apparent disarray for over a year. New members have been appointed to the Board this year, including a new chairman. It remains to be seen whether they can address the internal challenges and, more importantly, provide meaningful recommendations to their single client, the U.S. Department of Defense. Bottom line: This NRC IG consultant’s report adds little value to understanding the DNFSB’s organizational issues or developing effective corrective actions. * Towers Watson, “DNFSB 2015 Culture and Climate Survey: Executive Overview of Key Findings” (Aug. 2015). ADAMS ML15245A515. Thanks to John Hockert for publicizing this report on the LinkedIn Nuclear Safety Culture forum. ** H.T. Bell (NRC) to Chairman Winokur (DNFSB), “Inspector General’s Assessment of the Most Serious Management and Performance Challenges Facing the Defense Nuclear Facilities Safety Board,” DNFSB-OIG-15-A-01 (Oct. 1, 2014). ADAMS ML14274A247. Posted by Lewis Conner 4 comments. Click to view/add. Recent New York Times articles* have described the activities, culture and context of Volkswagen, currently mired in scandal. The series inspired a Yogi Berra moment: “It’s deja vu all over again.” Let’s look at some of the circumstances that affected Fukushima and Volkswagen and see if they give us any additional insights into the risk profile of the U.S. commercial nuclear industry. The Japanese nuclear regulator did not provide effective oversight of Tokyo Electric Power Co. One aspect of this was TEPCO’s relative power over the regulator because of TEPCO’s political influence at the national level. This was a case of complete regulatory capture. The German auto regulator doesn’t provide effective oversight either. “[T]he regulatory agency for motor vehicles in Germany is deliberately starved for resources by political leaders eager to protect the country’s powerful automakers, . . .” (NYT 12-9-15) This looks more like regulatory impotence than capture but the outcome is the same. 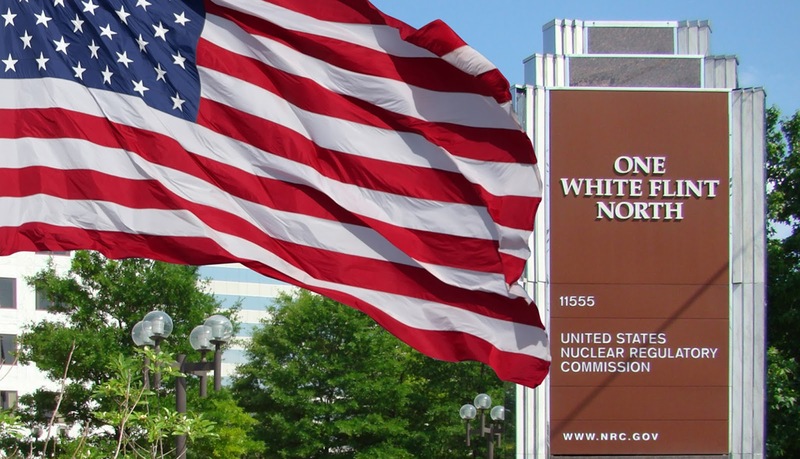 In the U.S., critics have accused the NRC of being captured by industry. We disagree but have noted that the regulator and licensees working together over long periods of time, even across the table, can lead to familiarity, common language and indiscernible mutual adjustments. In the U.S., INPO’s singled-minded focus on the unrivaled importance of leadership can, if practiced by the wrong kind of people, lead to a suppression of dissent, facts that contradict the party line and the questioning attitude that is vital to maintain safe facilities. 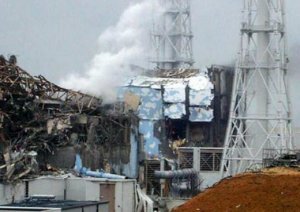 In the Fukushima plant design, TEPCO gave short shrift to local communities, their citizens, governments and first responders, ultimately exposing them to profound hazards. TEPCO’s behavior also impacted the international nuclear power community, where any significant incident at one operator is a problem for them all. 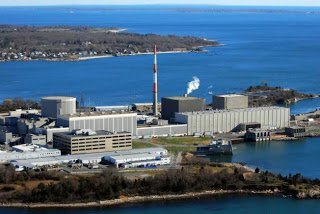 We have long complained about the obsessive secrecy practiced by the U.S. nuclear industry, particularly in its relations with its self-regulator, INPO. It is not a recipe for building trust and confidence with the public, an affected and legitimate stakeholder. The TEPCO safety culture (SC) was unacceptably weak. And its management culture simply ignored inconvenient facts. Volkswagen’s culture has valued technical competence and ambition, and apparently has lower regard for regulations (esp. foreign, i.e., U.S. ones) and other rules of the game. 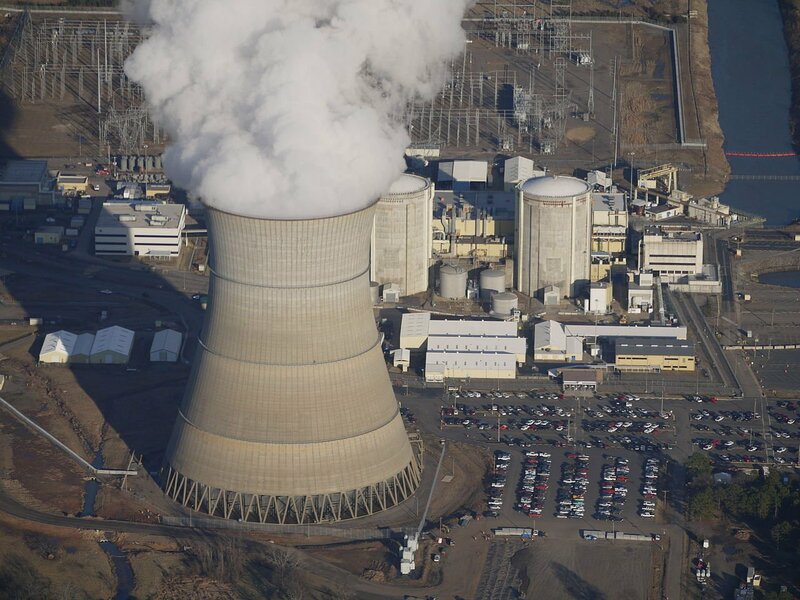 We are not saying the gross problems of either company infect the U.S. nuclear industry. But the potential is there. The industry has experienced events that suggest the presence of human, technical and systemic shortcomings. For a general illustration of inadequate management effectiveness, look at Entergy’s series of SC problems. For a specific case, remember Davis-Besse, where favoring production over safety took the plant to the brink of a significant failure. Caveat nuclear. * See, for example: J. Ewing and G. Bowley, “The Engineering of Volkswagen’s Aggressive Ambition,” New York Times (Dec. 13, 2015). J. Ewing, “Volkswagen Terms One Emissions Problem Smaller Than Expected,” New York Times (Dec. 9, 2015). This book* is primarily about systemic lessons learned from the 2008 U.S. financial crisis and, to a lesser extent, various European euro crises. Some of the author’s observations also apply to the nuclear industry. 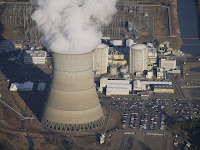 Ip uses the nuclear industry to illustrate how society can create larger issues elsewhere in a system when it effects local responses to a perceived problem. Closing down nuclear plants after an accident (e.g., Fukushima) or because of green politics does not remove the demand for electric energy. To the extent the demand shortfall is made up with hydrocarbons, additional people will suffer from doing the mining, drilling, processing, etc. and the climate will be made worse. He cites the aviation industry as an example of a system where near-misses are documented and widely shared in an effort to improve overall system safety. He notes that the few fatal accidents that occur in commercial aviation serve both as lessons learned and keep those responsible for operating the system (pilots and controllers) on their toes. 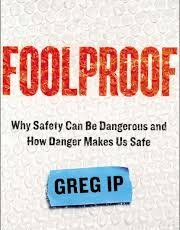 Speaking of finance, Ip says “A huge part of what the financial system does is try to create the fact—and at times the illusion—of safety. Usually, it succeeds; . . . On those rare occasions when it fails, the result is panic.” (p. 86) Could this description also apply to the nuclear industry? 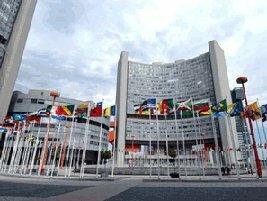 Ip’s treatment of the nuclear industry, while positive, is incomplete and somewhat simplistic. It’s really just an example, not an industry analysis. His argument that shutting down nuclear plants exacerbates climate harm could have come from the NEI playbook. He ignores the impact of renewables, efficiency and conservation. 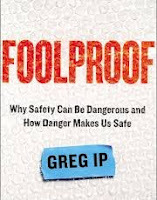 * G. Ip, Foolproof (New York: Little, Brown, 2015). Ip is a finance and economics journalist, currently with the Wall Street Journal and previously with The Economist. We spent a little time poking around the McKinsey* website looking for items that could be related to safety culture and found a couple. They do not provide any major insights but they do spur us to think of some questions for you to ponder about your own organization. One article discussed organizational redesign** and provided a list of recommended rules, including establishing metrics that show if success is being achieved. Following is one such metric. What percent of total labor dollars does your organization spend on “management”? Could your organization’s decision making be speeded up without sacrificing quality or safety? Would your organization rather have the “right” decision (even if it takes a long time to develop) or no decision at all rather than risk announcing a “wrong” one? A second article discussed management actions to create a longer view among employees,*** including clearly identifying and prioritizing organizational values. Following is an example of action related to values. How do your operators and other professionals share experiences and learning opportunities among themselves at your site? How about throughout your fleet? Does documenting anything that might be construed as weakness require management review or approval? Is management (or the overall organization) so fearful of such information being seen by regulators or the public, or discovered by lawyers, that the information is effectively suppressed? Is your organization paranoid or just applying good business sense? Do you have a culture that would pass muster as “just”? Useful nuggets on management or culture are where you find them. Others’ experiences can stimulate questions; the answers can help you better understand local organizational phenomena, align your efforts with the company’s needs and build your professional career. * McKinsey & Company is a worldwide management consulting firm. 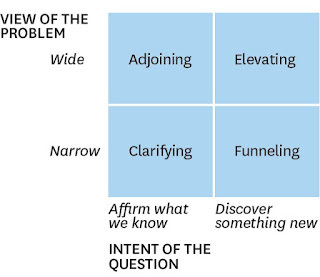 ** S. Aronowitz et al, “Getting organizational redesign right,” McKinsey Quarterly, no. 3 (2015), pp. 99-109. *** T. Gibbs et al, “Encouraging your people to take the long view,” McKinsey Quarterly (Sept. 2012). 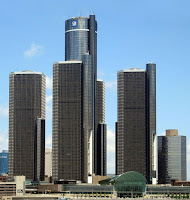 Fixing General Motors’ Culture—Any Lessons for Nuclear? 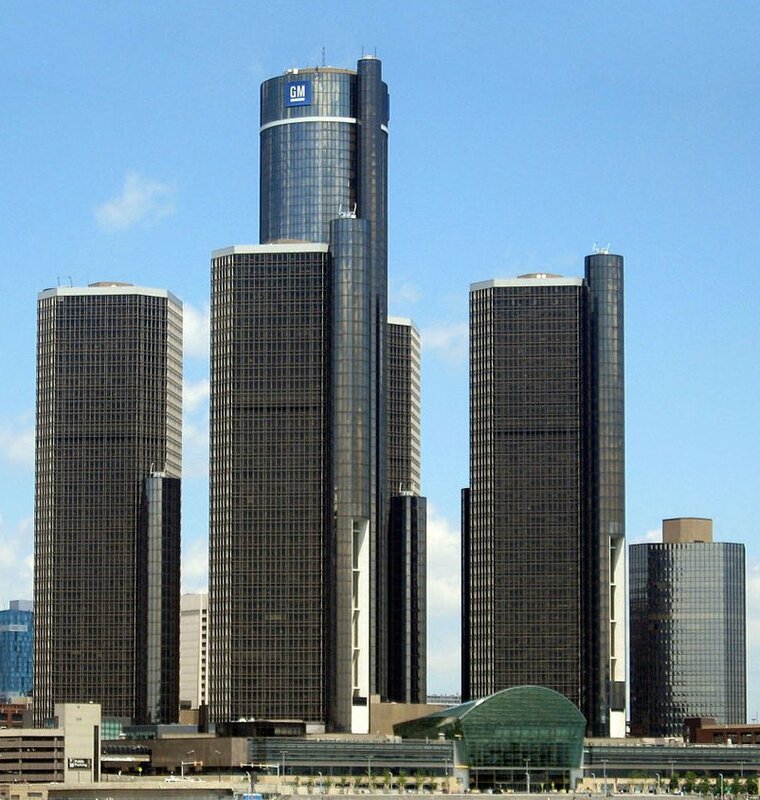 In a recent interview* with LinkedIn, General Motors CEO Mary Barra discussed her plan for fixing GM’s culture. 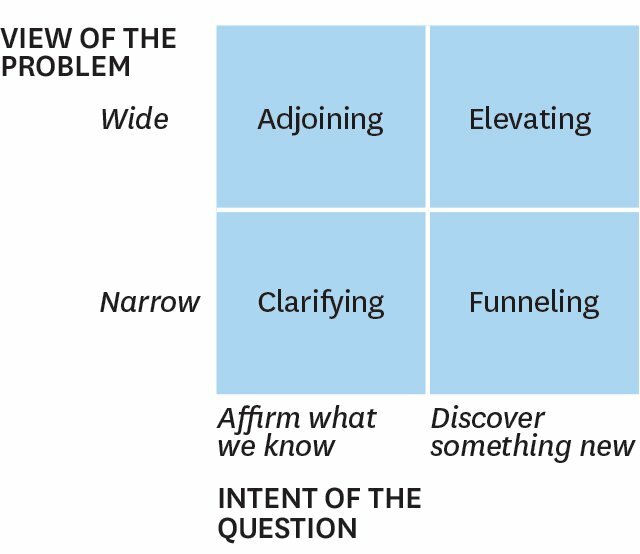 The interviewer asked what needs to change, what about known problems like the “GM nod”** and the siloed organization, and what is the key to the improvement process? The following quotes are excerpted from her answers. Do they suggest a clear vision for the future culture and/or a satisfactory action plan? We realize this was not some carefully crafted article for the Harvard Business Review but there are too many soft spots in this recipe for fixing the culture to let this interview slide by without comment. Let’s begin with the positives. Barra promotes respect for ideas; that’s a positive feedback loop and a good thing. Senior management modeling desired behavior and working to earn employee trust are both essential for cultural change. Safety leadership is certainly a laudable goal. The nod is a little more problematic. Maybe Barra never accepted the nod but plenty of other folks did. Is modeling the desired behavior sufficient to create change? How long will it take? What else might need to be done? Shared ownership of problems is a good start but how does GM establish, model and inculcate a process that obtains permanent problem resolutions going forward? Barra also believes an insider (like her) is better suited for changing the culture than an outsider. We agree an insider may have a better handle on recognizing when employees are trying to spin a situation in their favor but an outsider can bring a clear view of the performance gap between an organization’s current state (e.g., its characteristics, priorities and processes) and where it needs to be. Some ingredients are missing. Most importantly, there is no mention of the powerful cost/finance feedback loop that contributed to GM’s quality problems. Wringing pennies out of product costs was a major goal for years. What roles will cost consciousness and management financial incentives play going forward? In another area, how is the management decision making process changing other than arguing things out? Bottom line: There are no lessons for nuclear in the GM CEO’s outline of her cultural change initiative. In fact, her proclamations sound just like nuclear managers’ braying when they try to convince regulators, the media and the public that something, anything is happening to address perceived cultural issues. But what usually isn’t happening is some in-depth analysis of how their organizational system functions. * D. Roth, “Mary Barra's Got a Plan for Fixing GM's Culture (and Only an Insider Can Pull it Off),” LinkedIn interview (July 6, 2015). Safetymatters co-founder Bob Cudlin first spotted and called attention to this article. 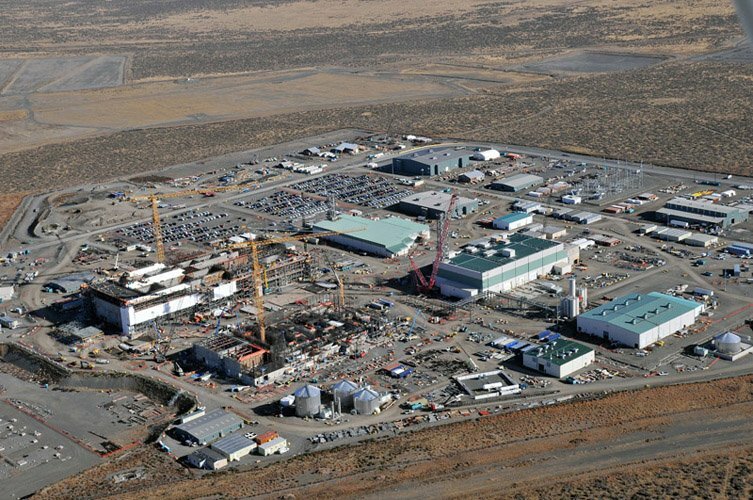 The Department of Energy (DOE) recently released the latest safety culture (SC) assessment report* for the Hanford Waste Treatment Plant (WTP or “vit plant”) project. The 2015 report follows similar SC assessments conducted in 2011 and 2014, all of which were inspired by the Defense Nuclear Facilities Safety Board’s scathing 2011 report on SC at the WTP. This post provides a brief overview of the report’s findings then focuses on the critical success factors for a healthy SC. The 2011, 2014 and 2015 assessments used the same methodology, with multiple data collection methods, including interviews, Behavioral Anchored Rating Scales (BARS)** and a SC survey. Following are selected highlights from the 2015 report. DOE’s Office of River Protection (ORP) has management responsibility for the WTP project. In general, ORP personnel feel more positive about the organization’s SC than they did during the 2014 assessment. Feelings of confusion about ORP’s more collaborative relationship with Bechtel (the prime contractor) have lessened. ORP management is perceived to be more open to constructive criticism. Concerns remain with lack of transparency, trust issues and the effectiveness of the problem resolution process. Bechtel personnel were more positive than in either previous SC assessment. Bechtel has undertaken many SC-related initiatives including the promotion of a shared mental model of the project by senior Bechtel managers. In 2014, Bechtel Corporate’s role in project decision making was perceived to skew against SC concerns. The creation of a new Bechtel nuclear business unit has highlighted the special needs of nuclear work. (pp. 2, 39) On the negative side, craft workers remain somewhat suspicious and wary of soft retributions, e.g., being blamed for their own industrial mishaps or having their promotion or layoff chances affected by reporting safety issues. See this newspaper article*** for additional details on the report’s findings. We always look at the following areas for evidence of SC strength or weakness: management’s decision making process, recognition and handling of goal conflicts, the corrective action program and financial incentives. Both ORP and Bechtel interviewees complained of a lack of basis or rationale for different types of decisions. (pp. 9, 16) Some ORP and Bechtel interviewees did note that efforts to clarify decision making are in process. (pp. 13, 32) Although the need to explain the basis for decisions was recognized, there was no discussion of the decision making process itself. This is especially disappointing because decision making is one of the possible behaviors that can be included in a BARS analysis, but was not chosen for this assessment. Conflicts among cost, schedule and safety goals did not rise to the level of a reportable problem. ORP interviewees reported that cost and schedule do not conflict with safety in their individual work. (p. 6) Most Bechtel interviewees do not perceive schedule pressures to be the determining factor while completing various tasks. (p. 23) Overall, this is satisfactory performance. We believe how well an organization recognizes and permanently resolves its problems is important. Problem Identification and Resolution was one of the traits evaluated in the assessment. ORP interviewees said that current safety concerns are being addressed. The historical lack of management feedback on problem resolution is still a disincentive for reporting problems. (pp. 8-9) Some Bechtel interviewees said “issue resolution with management engagement was the single most positive improvement in problem resolution, . . .” (p. 24) This performance is minimally acceptable but needs ongoing attention. DOE’s contract with Bechtel now includes incentives for Bechtel if it self-identifies problems (rather than waiting for DOE or some other party to identify them). ORP believes the incentives are a positive influence on contractor performance. (p. 8) Bechtel interviewees also believe the new contract has had a positive impact on the project. 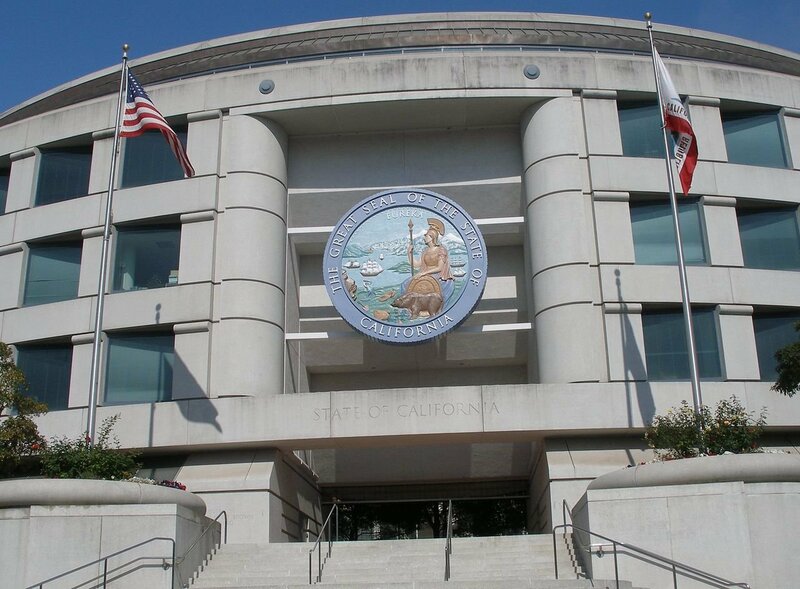 However, Bechtel has a goal to reduce legacy issues and some believe the contract’s emphasis on new issues distracts from addressing legacy problems. (pp. 24-25) The assessment had no discussion of either ORP or Bechtel senior management financial incentives. The new contract conditions are good; ignoring senior management incentives is unacceptable. We usually don’t pay much attention to SCWE at nuclear power plants because it is part of the larger cultural milieu. But SCWE has been a long-standing issue at various DOE facilities, as well as the impetus for the series of WTP SC assessments, so we’ll look at a few highlights from the SC survey data. For Bechtel, mean responses to all six SCWE questions were significantly higher (better) in 2015 vs 2014. However, the 2011 data were not included so we cannot make any inference about possible longer-term trends. (p. B-5) What is shown is good news because it appears people feel freer to raise safety concerns. Interestingly, Bechtel’s mean 2015 responses were 5-13% higher (better) than ORP’s for all questions. Both ORP and Bechtel are showing acceptable performance but continued improvement efforts are warranted. The Executive Summary and Conclusions suggest ORP and especially Bechtel have turned the corner since 2014. (pp. v, 37) This is arguably true for SCWE but we’d say the jury is still out on improvement in the broader SC, based on our look at the BARS data. We also wonder about the evaluation team’s level of independence and optimism. This is the first time DOE has performed a WTP SC assessment without the extensive use of outside consultants. Put bluntly, how independent was the team’s effort given DOE Headquarters’ desire to see improvements at WTP? And it’s not just HQ; DOE is under the gun from Congress, the DNFSB, the Government Accountability Office, and environmental activists and regulators to clean up their act at Hanford. * DOE Office of Enterprise Assessments, “Follow-up Assessment of Safety Culture at the Hanford Site Waste Treatment and Immobilization Plant” (June, 2015). We have followed the WTP saga for years; please click on the Vit Plant label to see our related posts. *** A. Cary, “DOE: Hanford vit plant safety culture shows improvement,” Tri-City Herald (June 26, 2015). **** The report also includes multiple references to the two organizations’ behavioral norms that were inferred from the survey data. It’s not exactly consultant mumbo-jumbo but it’s too complicated to attempt to explain in this space. Everyone has heard about the March 31, 2013 stator drop at Arkansas Nuclear One (ANO). But there was also unsatisfactory performance with respect to flood protection and unplanned scrams. As a consequence, ANO has been assigned to column 4 of the NRC’s Action Matrix where it will receive the highest level of oversight for an operating plant. The bulk of the staff presentation was a soporific review of agency progress in a variety of areas. But when the topic turned to ANO, the Regional Administrator responsible for ANO was quite specific and minced no words. Following are the key problems he reviewed. See if you can connect the dots on SC issues based on these artifacts. A team of Entergy (ANO’s owner) senior managers presented their action plan for ANO. They said they would own their own problems, improve contractor oversight, identify their own issues, increase corporate oversight and improve their CAP. With respect to culture, they said “We're going to change the culture to promote a healthy, continuous improvement and to not only achieve, but also to sustain excellence.” (pp. 70-71) They are benchmarking other plants, analyzing ANO’s issues and adding resources including people with plant performance recovery experience. Not to be too cynical, but what else could Entergy say? When your plant is in column 4, a mega mea culpa is absolutely necessary. But Entergy’s testimony read like generic management arm-waving invoking the usual set of fixes. Basically, the ANO culture endorses a “blame the contractor” attitude, accepts incomplete investigations into actual events and potential problems, and is content to let the NRC point out problems for them. Where did those values come from? Is “increased oversight” sufficient to create a long-term fix? ANO naturally gives a lot of weight to the SC assessment because its findings appear relatively simple and apparently actionable. Somewhat surprisingly, the NRC also appears to give this assessment broad credibility. We think that’s misplaced. The chances are slim of such an assessment identifying deep, systemic cultural issues although we admit we don’t know the assessment details. Did the assessment team perform document reviews, conduct focus groups or interviews? If it was a survey, it only identified the most pressing issues in the plant’s safety climate. Taking a more systemic view, we note that Entergy has a history of SC issues over many plants in its fleet. Check out our Feb. 20, 2015 post for highlights on some of their problems. Are ANO’s problems just the latest round of SC Whac-A-Mole at Entergy? Entergy has always had a strong Operations focus at its plants. The NRC’s confidence in ANO’s operators is the main reason that plant is not shut down. But continuously glorifying the operators, particularly their ability to respond successfully to challenging conditions, is like honoring firefighters while ignoring the fire marshal. The fire marshal role at a nuclear plant is played by Engineering and Maintenance, groups whose success is hidden (thus under-appreciated) in an ongoing series of dynamic, non-events, viz., continuous safe plant operation. That’s a cultural issue. By the way, who gets the lion’s share of praise and highest status at your plant? * “Briefing on Results of the Agency Action Review Plan Meeting,” public meeting transcript (May 21, 2015). ADAMS ML15147A041. We have beat the drum on the value of improved and innovative training techniques for improving safety management performance for some time. Really since the inception of this blog where our paper, “Practicing Nuclear Safety Management,”* was one of the seminal perspectives we wanted to bring to our readers. We continue to encounter knowledgeable sources that advocate practice-based approaches and so continue to bring them to our readers’ attention. The latest is an article from the Harvard Business Review that calls attention to, and distinguishes, “training” as an essential dimension of organizational learning. The article is “How the Navy SEALS Train for Leadership Excellence.”** The author, Michael Schrage,*** is a research fellow at MIT who reached out to a former SEAL, Brandon Webb, who transformed SEAL training. The author contends that training, as opposed to just education or knowledge, is necessary to promote deep understanding of a business or market or process. Training in this sense refers to actually performing and practicing necessary skills. It is the key to achieving high levels of performance in complex environments. In particular the reluctance of the nuclear industry and its regulator to address the presence and impact of goal conflicts on safety continues to perplex us and, we hope, many others in the industry. It was on the mind of Carlo Rusconi more than a year ago when he observed: “Some of these conflicts originate high in the organization and are not really amenable to training per se” (see our Jan. 9, 2014 post.) However a certain type of training could be very effective in neutralizing such conflicts - practicing making safety decisions against realistic fact-based scenarios. As we have advocated on many occasions, this process would actualize safety culture principles in the context of real operational situations. For the reasons cited by Rusconi it builds teamwork and develops shared viewpoints. If, as we have also advocated, both operational managers and senior managers participated in such training, senior management would be on the record for its assessment of the scenarios including how they weighed, incorporated and assessed conflicting goals in their decisions. This could have the salutary effect of empowering lower level managers to make tough calls where assuring safety has real impacts on other organizational priorities. Perhaps senior management would prefer to simply preach goals and principles, and leave the tough balancing that is necessary to implement the goals to their management chain. If decisions become shaded in the “wrong” direction but there are no bad outcomes, senior management looks good. But if there is a bad outcome, lower level managers can be blamed, more “training” prescribed, and senior management can reiterate its “safety is the first priority” mantra. * In the paper we quote from an article that highlighted the weakness of “Most experts made things worse. Those managers who did well gathered information before acting, thought in terms of complex-systems interactions instead of simple linear cause and effect, reviewed their progress, looked for unanticipated consequences, and corrected course often. Those who did badly relied on a fixed theoretical approach, did not correct course and blamed others when things went wrong.” Wall Street Journal, Oct. 22, 2005, p. 10 regarding Dietrich Dörner’s book, The Logic of Failure. For a comprehensive review of the practice of nuclear safety, see our paper “Practicing Nuclear Safety Management”, March 2008. ** M. Schrage, "How the Navy SEALS Train for Leadership Excellence," Harvard Business Review (May 28, 2015). *** Michael Schrage, a research fellow at MIT Sloan School’s Center for Digital Business, is the author of the book Serious Play among others. Serious Play refers to experiments with models, prototypes, and simulations.